Wootz Christmas is coming! The festive mood is kicking in, hey I have started to get ready my Christmas presents and plans. How about you? If you have not, don’t worry we got something delightful to share with you. Let’s be merry and celebrate and end the year with a big bang. 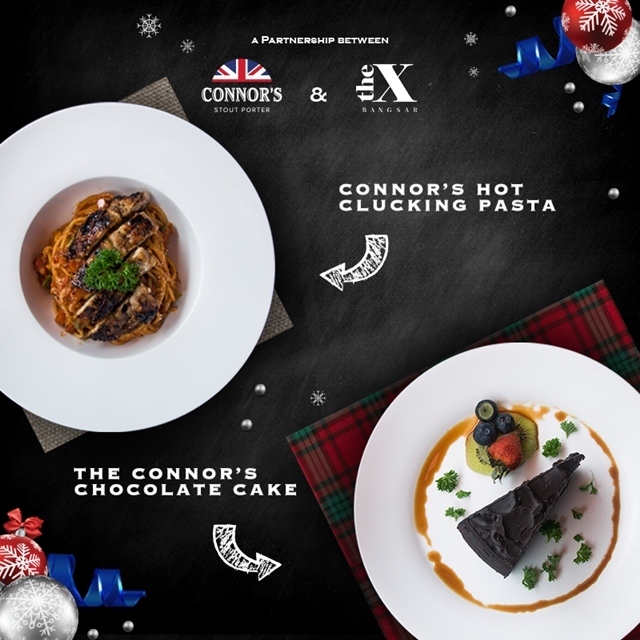 For The CONNOR’S Experience Christmas Edition 2016, you and your buddies will be able to indulge mouth-watering CONNOR’S-infused dishes paired with a full pint of CONNOR’S Stout Porter from 8 outlets for your dining pleasure; at Chapter One, NICSMANN by Lewre, tiki taka, BLACK Market Restaurant & Bar, Meja Kitchen & Bar, #theBBP, Hubba Hubba Ceylon and the X Bangsar. Tadah!!! 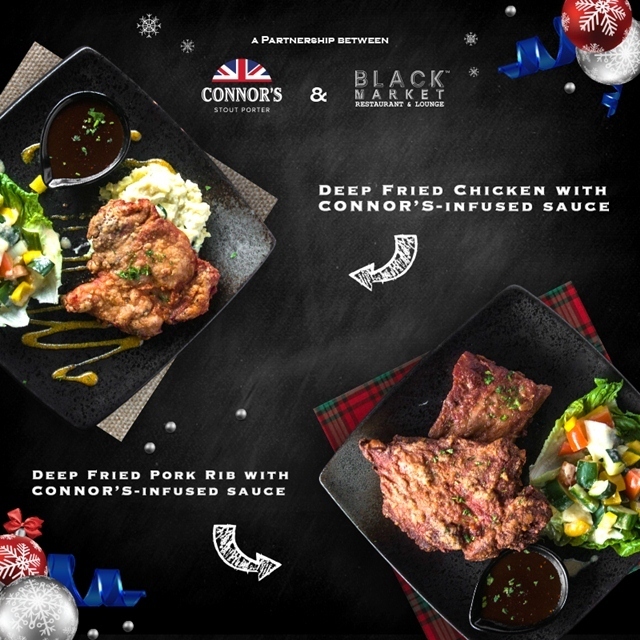 Here are the 8 dining outlets, 14 CONNOR’S-infused dishes to tickle your taste buds and of course pints and pints of CONNOR’S Stout Porter to celebrate Christmas with friends and family. Kindly take note that all the prices here are inclusive of 1 full pint of CONNOR’S Stout Porter. Chapter One Bar & Bistro it’s a perfect happy hour hangout spot for happy hour, weekend night out with friends with its relaxing atmosphere and cozy continental décor. The place also served Sunday brunch and events as well. Prime beef cooked gently in a CONNOR’S Stout Porter broth with vegetables, and served with toast. Braised baby back ribs braised in CONNOR’S Stout Porter, glazed and baked with BBQ sauce, served with roasted potatoes and mixed salad. 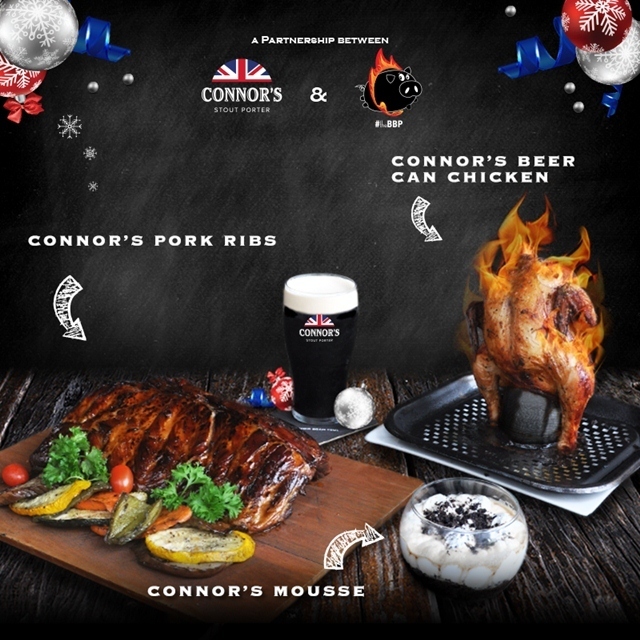 This is a must try, their tender soft baby back pork ribs its cooked to perfection and infused with CONNOR’S the robust aroma. It’s kind of private, chic and sophisticated spot for hangout and dining. Walk into Black Market and be greeted by a dimly-lit. The place is stylish that serves exquisite cuisine and an impressive selection of New and Old World wines which is the perfect venue for after-work drinks and casual dining with friends, clients or business associates. BLACK Market signature pork ribs deep-fried till golden brown, served with a CONNOR’S-infused sauce and special house salad. Crispy deep-fried chicken thigh, served with a CONNOR’S-infused sauce, mashed potato and special house salad. A twist from the normal bar and bistro, Hubba Hubba Ceylon it’s in grungy campus style and harmoniously mismatched interior of a party hub. I love relax and casual ambience with high ceiling plus the breezy vibe fueled by quirky quotes on the walls that looks like container. Half a chicken marinated overnight in CONNOR’S Stout Porter and mixed English herbs then roasted at 180°C. I like the taste of chicken marinate with CONNOR’S it give a bolder taste. Served with CONNOR’S-infused mushroom sauce and a petite side salad. Chunks of lamb stewed for 3 hours with carrots, onions and CONNOR’S Stout Porter, served in a golden brown puff pastry. When you dig in the pie, the aroma of lamb stew and CONNOR’S just burst out. Savour the tender juicy and warm lamb stew with crispy pie on the outside. This is an edgy bar and bistro tucked in the bustling streets of Bangsar. The tangy and spicy CONNOR’S-infused chicken spaghetti is satisfying and portion is quite big also. I like the combination of tangy, spicy and the taste of CONNOR’S Stout Porter. Omg… chocolate and CONNOR’S is a good combination also. This is a decadent and rich CONNOR’S-infused chocolate cake. Once you try it I am sure you will crave for more. Class and cozy kind of restaurant with live band and jazzy music, the ambience it’s like dining back in 1940’s. New Zealand lamb cubes marinated in a blend of 100 herbs then slow cooked in CONNOR’S Stout Porter alongside carrots, celery, onions, leeks and potatoes and served with garlic bread. You can’t go wrong with CONNOR'S and lamb, my favourite dish. One of the restaurant in TREC that served satisfying food and their portion are quite big as well. 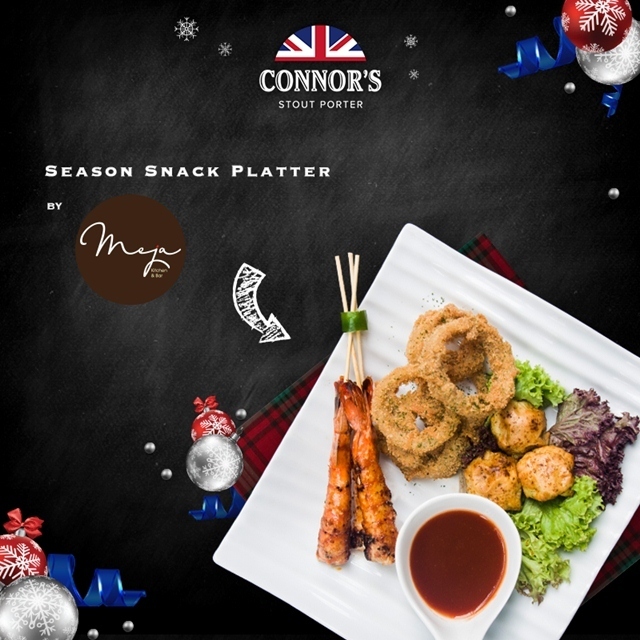 This Season Snack Platter with grilled tiger prawns glazed in CONNOR’S, cheesy button mushrooms stuffed with chicken that’s been slow cooked in CONNOR’S and crispy CONNOR’S-battered onion rings served with a dark CONNOR’S chilli dip. It is perfect as starter or happy hour snack for sharing. Love the combination especially the cheesy button mushrooms stuffed with chicken infused with CONNOR’S Stout Porter. Tiki Taka it’s kind of restaurant and bar that you will feel comfortable and acquitted when you walk in. Overall all most of their dished are quite unique, fusion and satisfying. 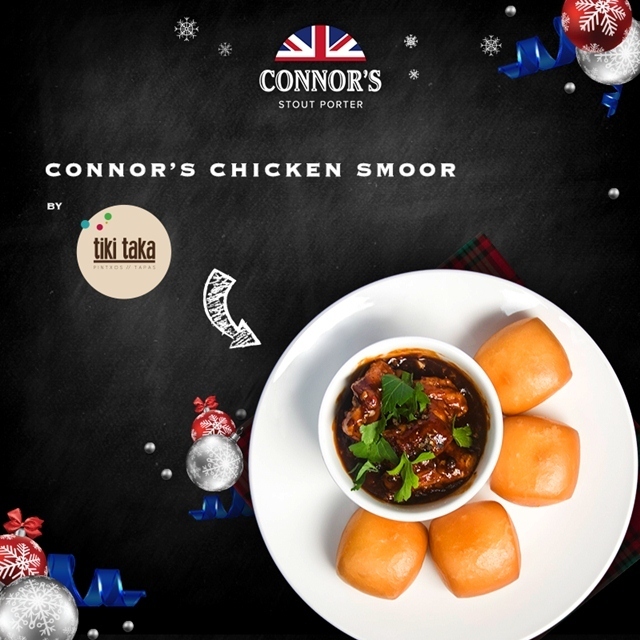 A rich and peppery traditional Eurasian stew infused with CONNOR’S Stout Porter, featuring crispy yet moist chicken breast and served with deep-fried fluffy mantou buns. It’s a nice twist, you must be wondering how it taste like right? So go to try it then you will to know it. I like the casual dining style with the high table and chair on the outside. This restaurant is perfect for al fresco dining and also catch up with buddies and family gathering. An 800 gram slab of pork ribs, marinated overnight in a secret blend of herbs, spices and CONNOR’S Stout Porter, then finished off and glazed with CONNOR’S Stout Porter over a woodchip fire BBQ, and served with Mediterranean vegetables. 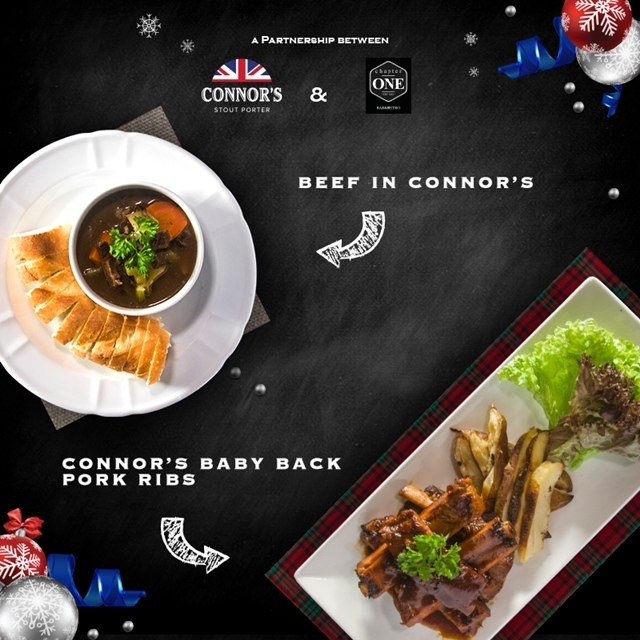 Pork Ribs is one of their signature dishes and when it infused with CONNOR’S it gives a bolder taster. Succulent chicken marinated overnight in a secret blend of herbs, spices and CONNOR’S Stout Porter, cooked and glazed with CONNOR’S Stout Porter over a woodchip fire BBQ, and served with homemade sambal sauce for spicy kick. You must try CONNOR’S dessert also, don’t underestimate its taste awesome. CONNOR’S Mousse is a smooth mousse made with the finest cream and CONNOR’S Stout Porter. Great! 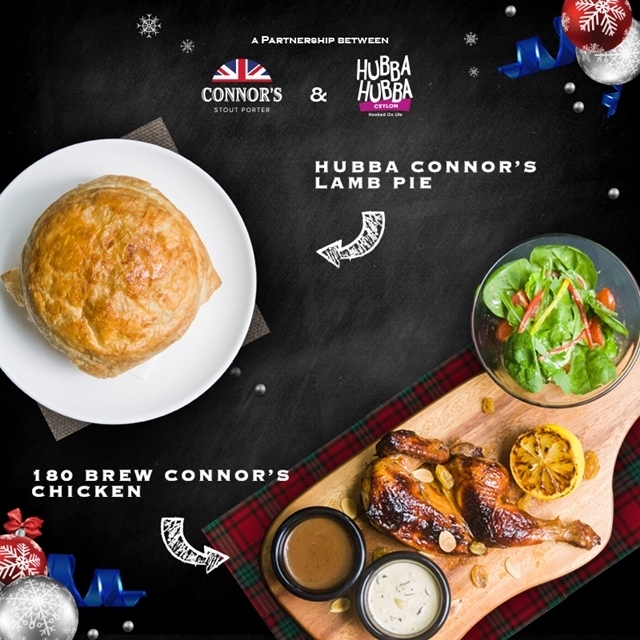 I can’t wait to celebrate at these outlets and savour the CONNOR’S-infused dishes, spotted some of the dishes that l love to try. And you will be surprised actually CONNOR’S blend well in desserts too. So which outlet are you eying or planning to go? Give your taste buds an experience to remember today! Oh ya since you, your friends and family members will be partying and drinking why not get a GRAB, its hassle free and safe also. 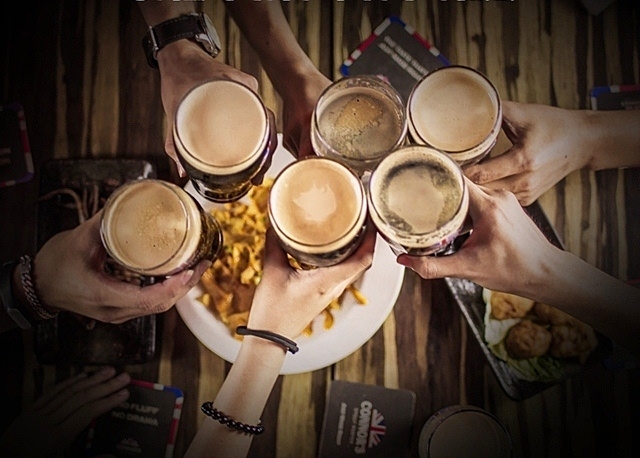 To embrace the responsible drinking policy, Connor’s Stout Porter partner with Grab. You can use GRAB Code: GRABCONNORS to get exclusive discount RM8 off for 4 rides. Plus you can claim for a free half pint of CONNOR’S Stout Porter when you show your Grab receipt. The promo code is applicable for all the outlets mentioned above. Wish you have a merry time without have to worry about driving, parking and traffic jam. The CONNOR’S Experience is a holistic experience for us to fully immerse ourselves in the “Just Made Right” essence of CONNOR’S Stout Porter. From drinks to food to getting home safely after a fun night out, CONNOR’S Stout Porter wants to give us a chance to enjoy A Night Made Right with our buddies - all packaged in one amazing deal. 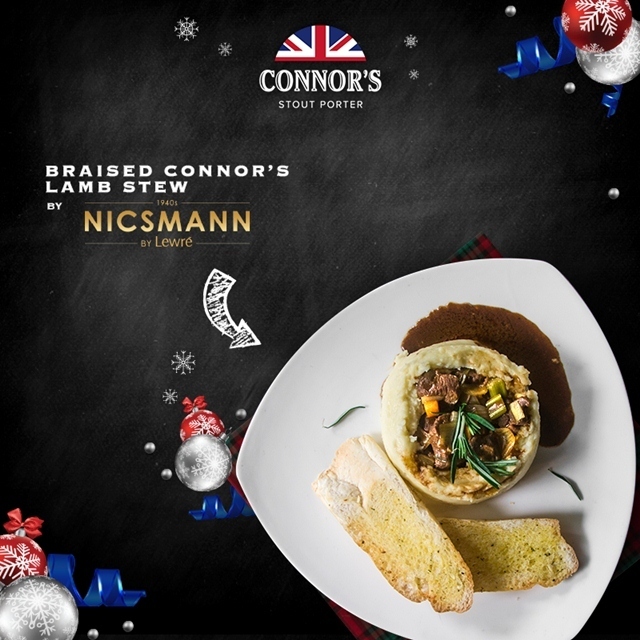 We get to enjoy delicious CONNOR’S-infused dishes paired perfectly with a pint of CONNOR’S Stout Porter at great prices plus get a free ride from Grab to and from each participating outlet. Every dish looks mouthwatering. I need to check this place out. looks like great deal. somemore have grab benefits. would definitely check it out! The food looks mouthwatering. I wish I could head over for a bite during Christmastime. I think should really ask my cousin to go there...he would love to drink this..
wow! So creative! they infuse Connors into different dishes! That is amazing! and the food looks appealing! Oh im a stout lover. And food with stout? Must be heaven. What to Expect at the New Pavilion Elite?